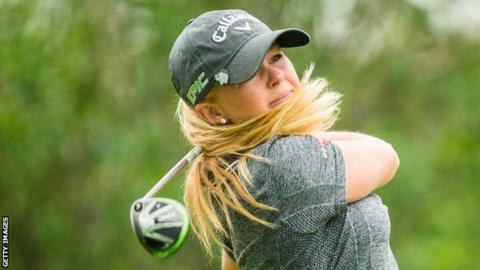 Stephanie Meadow has missed out on securing an LPGA tour card at the qualifying school in Florida. The Northern Ireland woman, 25, failed to survive the fourth-round cut in the 90 hole event at LPGA International. Meadow was always struggling after an opening 78 as her further rounds of 70, 73 and 73 proved two shots too many. She has missed several tournaments since a back stress fracture was diagnosed in September after 14 missed cuts this season. Meadow finished a brilliant third in the US Open at Pinehurst in 2014 when making her professional debut. However, the death of her father less than a year later left the Ulsterwoman devastated and while she earned a place at last year's Olympics, she has been unable to regain her best form this season with her injury problems an aggravating factor. Meadow's best finish in 2017 was a share of 31st in her opening event of the season in the Bahamas. Her only other made cuts came at the Lotte Championship in April and then the Scottish Open in July. The Northern Irish woman finished 153rd in the LPGA money list and her world ranking in now 370th.